National Eligibility Test (NET), also known as UGC NET, is an exam for determining the eligibility of Indian nationals for the eligibility for Assistant Professor only or Junior Research Fellowship & Eligibility for Assistant Professor both in Library and Information Science in Indian universities and colleges. 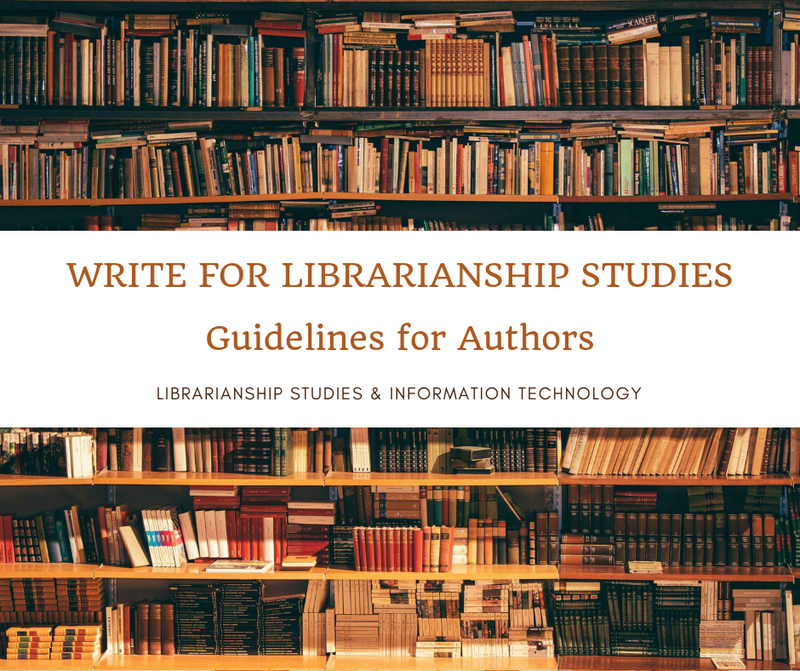 It is also a desired qualification for appointment of the post of librarian in libraries of universities, colleges, and government institutions in India. It has a comprehensive syllabus covering all the areas of Library and Information Science. For NET preparation see Library and Information Science NET Questions Answers. On behalf of the University Grants Commission (UGC), the National Testing Agency (NTA)¹ will conduct the test for determining the eligibility of Indian nationals for the Eligibility for Assistant Professor only or Junior Research Fellowship and Eligibility for Assistant Professor both in Indian universities and colleges. 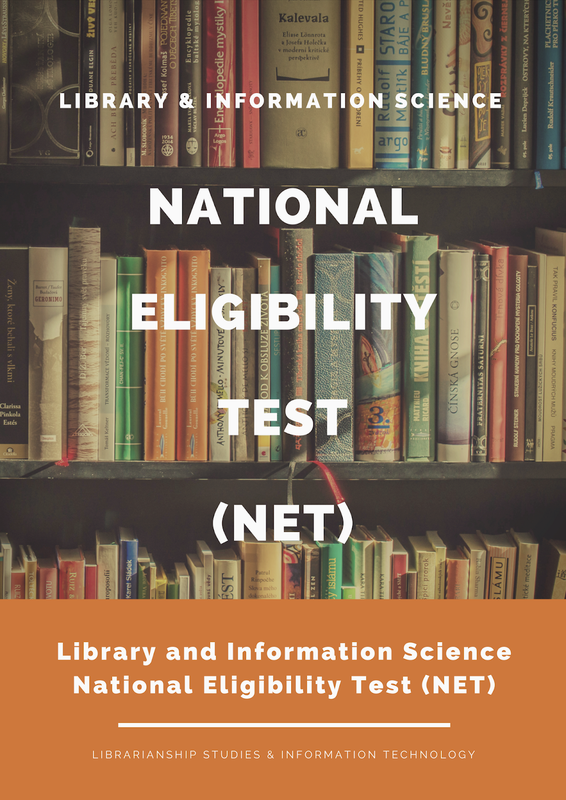 Until July 2018, CBSE conducted the UGC NET exam but from December 2018 onwards, NTA will be conducting the UGC National Eligibility Test. As per the press-release by Indian Government, the exam would be conducted twice a year, and it will be conducted in an online mode instead of offline mode. The paper will be divided in two papers - Paper 1 & 2. The students would have to attempt total (both paper 1 &2) 150 questions in 3 Hours. On the other hand, Top 6% candidates will be selected for each subject and category eligibility for Assistant Professor only if they haven't applied for JRF. From net qualified students, a list of JRF will be prepared. The merit list will be prepared by using a formula. Library and Information Policy at the National Level. NTA has released the exam date for UGC NET Dec 2018 as well as the schedule. The online application forms for UGC NET December 2018 exam begin from September 1 on nta.ac.in. Check eligibility, syllabus, etc. New Delhi: National Testing Agency, NTA would be conducting the UGC NET December 2018 examination. As per the official press released, the online application forms for UGC NET 2018 December exam would begin from September 1, 2018. The examinations would be conducted over a period of 8 days and would begin from December 9 to December 23 in online mode. The registrations would begin on the official website nta.ac.in and not on cbsenet.nic.in.Candidates interested in applying for the examination to please note that the conducting agency for UGC NET examinations has been shifted from CBSE to NTA from this year onwards. Also, with the change, a few changes have been made while many aspects of the examination have remained constant. Summarized below are a few things that you need to keep in mind while applying for UGC NET December 2018 examination. 1. Eligibility and syllabus for the UGC NET 2018 December examination would remain the same under NTA. Candidates can check the eligibility and the age limit for UGC NET 2018 December examination on the official website of nta.ac.in. Direct link to UGC NET page on NTA website is also provided here.2. The exam pattern for UGC NET 2018 December would change. The examination would now be an objective or multiple choice based Computer Based Test or CBT. Mock tests are expected to be made available soon.3. NTA has released the schedule for UGC NET December 2018 examination. The registration process would begin from September 1, 2018 and would end on September 30, 2018. The examination schedule is provided below. 4. Candidates would have an option of appearing for any of the dates. The option to choose the date of the examination would be provided at the time of filling of the online application form.5. Please note that the examination would continue to be conducted in all the languages and subjects as it was conducted under CBSE. The eligibility criteria also remains the same. Vacancy details for JRF, however, would be notified at the time of release of the online application forms for UGC NET December 2018 examination. UGC NET July Result 2018 Highlights: The result of UGC National Eligibility Test (NET) has been released by the Central Board of Secondary Education today at cbseresults.nic.in and cbsenet.nic.in. Earlier, the UGC NET answer keys were released on July 24 and candidates were given time till July 27 to challenge them. The exam was conducted on July 8 (Sunday) and re-exam on July 22. Those who will clear the paper will be eligible for a junior research fellowship or can be considered for the post of assistant professors. This year for the first time, instead of 3 papers, there were only 2 papers – paper 1 and paper 2. The candidates who qualify the UGC NET will be eligible for the junior research fellowship in the subject of their post-graduation or they are now eligible to apply for the post of assistant professor. The universities, institutions, IITs and other national organisations may select the JRF awardees for whole time research work in accordance with the procedure prescribed by them. This time, the UGC introduced some changes in the examination pattern. Instead of three paers, there were two papers (Paper I and Paper II). Candidates qualified for both JRF and Assistant Professor: 3,929. A total of 11,48,235 candidates had registered for the exam this year. From next time onwards, the National Testing Agency (NTA) will be conducting the UGC NET. Apart from it, JEE Advanced, NEET will be conducted by the same organisation. The examination was conducted on July 8 (Sunday) and re-exam on July 22. Those who will clear the paper will be eligible for a junior research fellowship or can be considered for the post of assistant professors. This year for the first time, instead of 3 papers, there were only 2 papers – paper 1 and paper 2.